Alexis Shapiro, 12, of Cibolo, Texas, is likely to get life-saving obesity surgery within eight weeks after military health insurance officials reversed a decision denying the operation because they said she was too young. A 12-year-old Texas girl who gained more than 140 pounds after a rare complication following brain surgery will have a weight-loss operation covered by U.S. military health insurance, her mother said Friday. Alexis Shapiro could be scheduled for gastric bypass surgery within eight weeks, after TRICARE, the military insurer, reversed an earlier decision to deny the surgery because the girl was too young. NBC News couldn’t immediately reach TRICARE representatives, but Jenny Shapiro said that a case manager called her with the news late Friday. The reversal came less than a week after NBC News first reported the story. 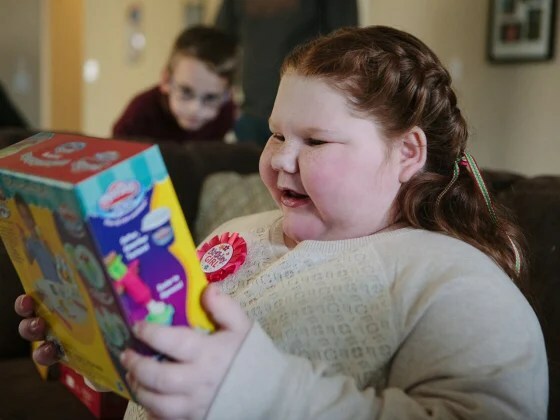 In the meantime, well-wishers donated more than $78,000 to an online fund to help the girl, who suffers from a rare disorder that makes her gain massive amounts weight even as her body thinks it’s starving. The problem started in 2011 after Alexis, then a normal 9-year-old, had surgery to remove a rare benign brain tumor, which wound up damaging her hypothalamus and pituitary gland, two organs that regulate weight and appetite. Since then, she’s gained at least two pounds a week, climbing to nearly 200 pounds on 4-foot-7 frame, despite strict diet and exercise. At times, her parents have had to padlock kitchen cupboards because of her severe food cravings caused by the disorder. Dr. Thomas Inge, a pediatric obesity expert at Cincinnati Children’s Hospital Medical Center, says that gastric bypass surgery will stop the weight gain, help Alexis lose her extra weight and curb the food cravings. Jenny Shapiro emphasized her gratitude for the donations and said the money would pay for medical expenses not covered by insurance and for travel from Texas to Ohio. Any remaining will be used to help other children with similar problems, she said. “I just want to do what’s right for everybody,” she added. Alexis Shapiro, 12, of Cibolo, Texas, developed a rare disorder after surgery for a brain tumor two years ago, one that causes her to gain weight constantly, even on a restricted diet. 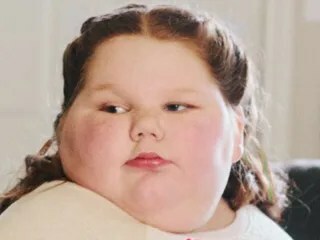 Surgery to remove a brain tumor two years ago has left a 12-year-old Texas girl with a heartbreaking condition that makes her gain massive amounts of weight — even though her body thinks it’s starving. Doctors say a gastric bypass operation is the only thing that can help Alexis Shapiro, who is 4-foot-7 and weighs 198 pounds. But the U.S. military, which provides her family’s health insurance, says it won’t pay for the $50,000 weight-loss procedure because she’s too young. “Our reviewers have denied your request for Roux-En-Y Gastric Bypass,” reads the rejection notice sent this month. Alexis’ parents — and her doctor — are protesting the decision from insurer TRICARE, which they say sentences the child to a fate of dangerous health problems and social isolation caused by hypothalamic obesity, which is packing on at least 2 pounds every week. 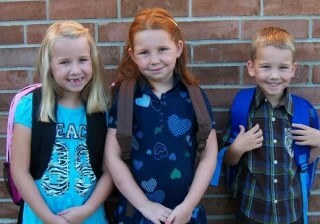 Alexis Shapiro, center, is shown here in 2011, with her sister, Kayley, and brother, Ethan, a month before surgery to remove a benign brain tumor. In just the past three months, Alexis was hospitalized for a kidney infection and developed Type 2 diabetes that requires nightly insulin injections, both related to her growing girth. Dr. Thomas H. Inge, a Cincinnati expert in pediatric obesity who is treating Alexis, acknowledged that there have been few cases like hers. But he said surgery may be the only way to stop weight gain that could top out at 400 pounds — and to cut the brain cravings that make Alexis want to eat an entire jar of peanut butter at one sitting. But a spokesman for TRICARE and Humana Military, which provides insurance coverage for Alexis’ father, Air Force veteran Ian Shapiro, said their rules are clear. Gastric bypass and other weight-loss surgeries may be covered, but only if the patient is 18 or has achieved full bone growth. However, an appeal could take months or longer, said Jenny Shapiro, and there’s no guarantee that the surgery would be approved even then. She said that by-the-book denials are making the rare disease that struck her normal 9-year-old even worse than it’s already been. 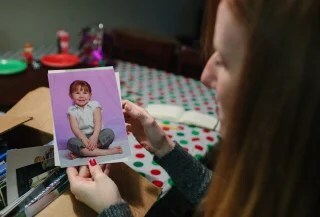 Jenny Shapiro says Alexis remembers when she was a normal-sized girl, before the brain tumor surgery triggered hypothalamic obesity, a rare condition. Two years ago, Alexis was a normal, happy third-grader who liked to ride scooters and bikes with her brother Ethan, then 5, and sister, Kayley, then 7. Then Alexis developed a craniopharyngioma, a rare kind of benign brain tumor that grows near the pituitary gland and affects at most 1 child per every million each year. The good news was, the tumor wasn’t cancer and the surgery to remove it, though scary, went well. The bad news was, Alexis developed hypothalamic obesity, a rare condition caused by damage to the hypothalamus, the fingernail-sized organ that helps govern energy balance, appetite — and weight. More than half of children who have such tumors develop problems with excessive eating — called hyperphagia — and significant obesity. “The treatment is what ends up interfering with very, very important pathways that are immediately adjacent to the tumor,” Inge said. In Alexis’ case, the result was an immediate, unceasing weight gain even with a diet restricted to 900 to 1,400 calories a day — and with extra exercise, said Jenny Shapiro. At the same time, Alexis developed a ravenous appetite. Alexis’ illness has upended family life, even though Jenny Shapiro said she works hard to keep things normal. Their daily routine is governed by a strict diet and exercise plan that is often frustrating for Alexis and the rest of the family. It’s difficult finding clothes for Alexis, who now wears a woman’s size 1X or 2X and who goes up nearly a size every month, Jenny Shapiro said. She had to be home-schooled starting this year, both because her condition leaves her in constant pain and because of comments from other kids. It’s hard to go out in public because of the looks and whispers targeted at Alexis’ size, her mother said. Worse, though, than the daily challenges is the worry about where Alexis’ illness will lead. The risk of devastating consequences is what compels doctors to consider bariatric surgery for patients like Alexis. The operation has lifelong consequences and no one wants to perform it on a child unless the benefits clearly outweigh the risks, Inge and other experts say. Though the literature is scant — Inge and his colleagues have reviewed just 70 cases — craniopharyngioma patients who’ve had the surgery have lost significant weight, between 20 percent and 30 percent of their body mass. In addition, gastric bypass surgery, which makes the stomach smaller and bypasses some of the small intestine, appears to have an effect on the part of the brain related to appetite and satiety, the sense of fullness. Kelsie Blackwell of Indianapolis, Ind., is shown at age 16 and now, at age 21. 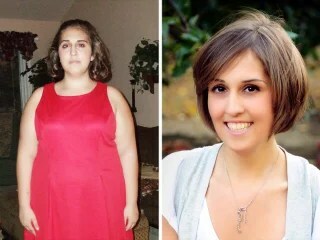 Like Alexis Shapiro, she also had hypothalamic obesity that spurred massive weight gain. She underwent bariatric surgery at age 16, which helped her lose 100 pounds and cut her severe food cravings. Just ask Tawana Blackwell, 53, of Indianapolis, Ind., whose daughter, Kelsie, was diagnosed with hypothalamic obesity at age 8 and didn’t have surgery until five years ago, at age 16. Just 5 feet tall, the girl weighed 230 pounds and was gaining up to 20 pounds a month. After the surgery, Kelsie, now 21, lost 100 pounds and has been able to keep it off with a careful diet and regular exercise. Inge has been pushing for an exception to the TRICARE bariatric surgery rule based on the severity of Alexis’ symptoms. Doctors at the San Antonio Military Medical Center have referred her case for higher review, but it’s not clear where it stands. Meanwhile, Jenny Shapiro said she’s growing desperate to help her little girl. JoNel Aleccia is a senior health writer with NBC News. Reach her on Twitter at @JoNel_Aleccia or send her an email.